Get your LBF19 Hotel package Here! Put together your own package including hotel, festival tickets and transfers from the festival site. Best service guaranteed! We’re keen to be green and reduce our carbon footprint so please use public transport and the shuttle buses service we have provided. 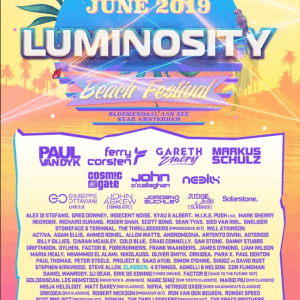 The Luminosity Beach Festival shuttle bus service operates from Bloemendaal aan Zee. With all of our shuttle bus locations connected to major transport hubs, it couldn’t be easier. To pre-order your shuttle bus tickets now and guarantee your seat on the bus, use the link below. 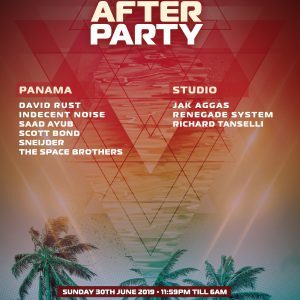 To get you home safe, Even if “home” is not directly around Zandvoort..
Sunday evening shuttles will also run towards the After party, At Panama Amsterdam, between 22:00 and 01:00 o’clock. On Monday morning after the LBF19 Afterparty, the shuttles will take you home safely every half an hour, starting at 04:00 until 07:00 A.M. If you come by car, there is a big parking area near Beachclub Fuel, 3 min walk. Public transport is available to reach Bloemendaal aan Zee. The easiest way is to get off the train in Haarlem and catch bus 81 or 84 to Bloemendaal aan Zee (bus stop “Strand, Overveen”). From there you have a 3 min walk. You could also get a train to Zandvoort and same buses to Bloemendaal (same stop).